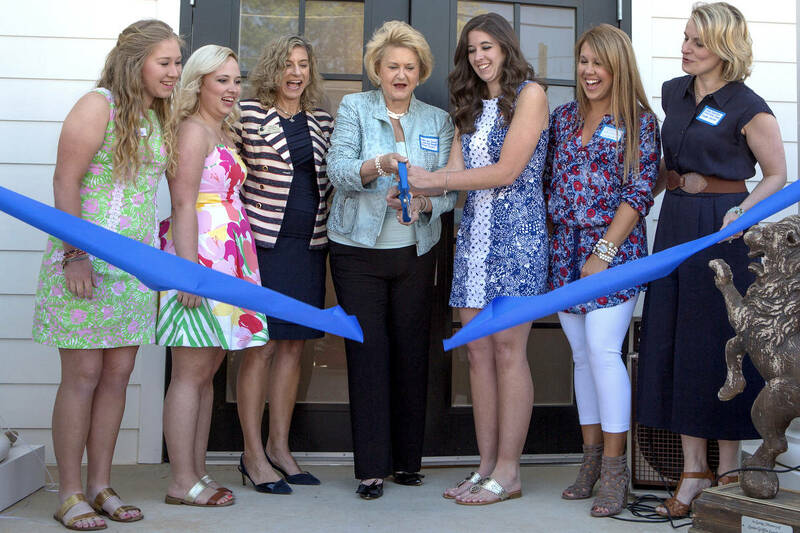 When the Lambda Chapter of Alpha Delta Pi hosted the dedication for its new sorority house during Women’s College reunion weekend April 16, residents were wrapping up their first year in the new digs. They also were showing off some generosity of their older sisters who wanted to make certain the younger members enjoyed the same homelike, family experience that they had decades earlier. Sarah Wahl, WC ’50, former chapter president, donated more than $67,000 in antique furnishings. The donations included a wool Sarouk carpet and a Venetian-style crystal chandelier that Wahl commissioned to honor late daughter Ceslie Alliene Schroder, WC ’83, who was also a former president. Julie Ann Singer “Sis” Hancock, WC ’51, helped out her sorority sister by contributing to the recovery and refurbishment of the antique pieces and new window treatments.